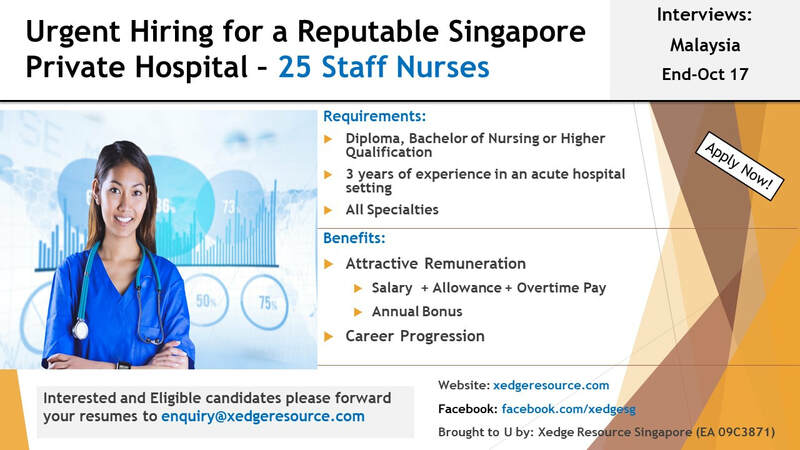 Xedge Resource knows and understands the dynamics of the healthcare marketplace in Singapore. Whether you are a fresh graduate, middle level manager or senior management, we can offer a wide range of career options. One can enhance your career path through Xedge as our experienced recruitment team takes every conceivable measure to ensure a ‘good match’ between the candidates & the employers. Contact us today to select from a wide and varied range of healthcare job opportunities. Let us help you open the door to a Challenging, Motivating and Rewarding career in Healthcare. 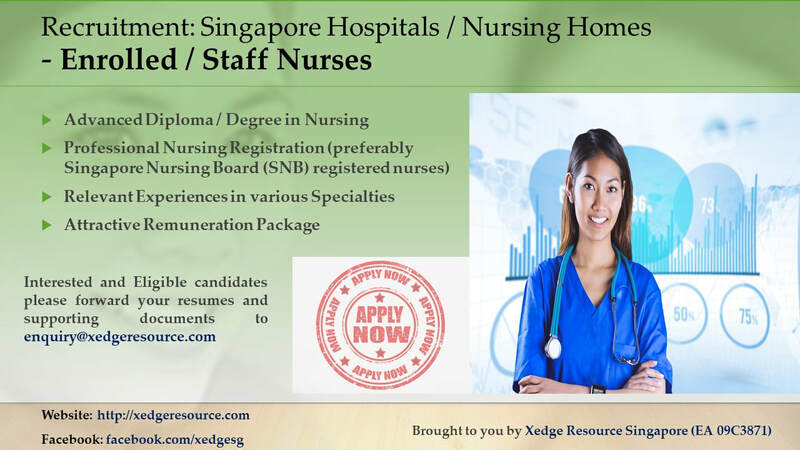 Join our growing pool of LOCUM nurses for agency and home care assignments.